The DrillCover PRO is Arbutus Medical's newest product. A safe, sterile, reusable barrier for use with a modified hardware drills. A powerful and durable hardware drill enclosed in a sterile, liquid and pathogen proof cover. The drill easily switches between Drill and Ream modes during use. With 32 Nm of torque available in the Ream mode this tool offers 50% more power than most orthopaedic drills. A range of 3-jaw chucks and most common quick-connects provide a choice of options for connecting to drill bits, pins, wires and reamers. The DrillCover PRO is a versatile system that is suitable for any procedure requiring drilling, driving or reaming. 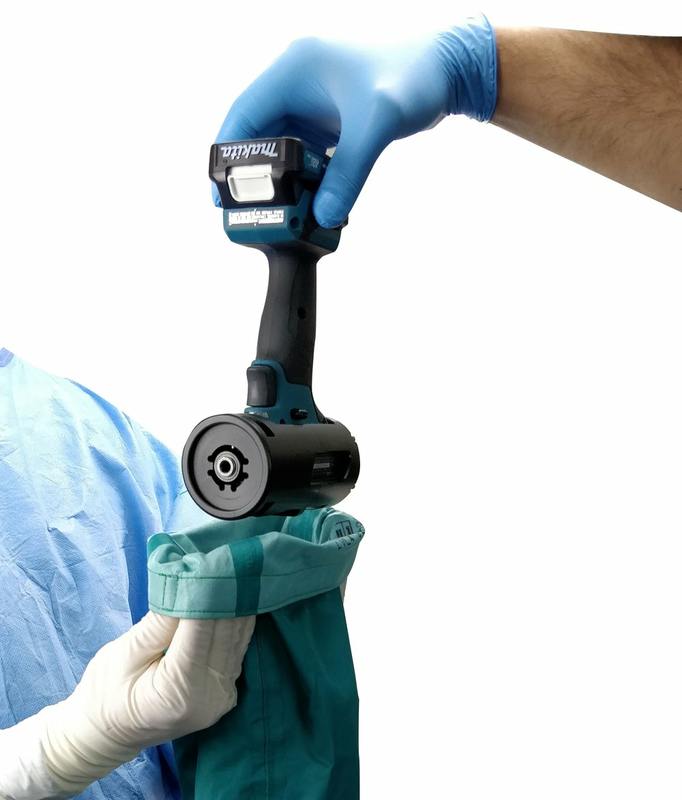 It has more than enough power for most demanding procedures, such as acetabular reaming, while at the same time the precision-made components allow for fine handling and accuracy required for small bone surgery. Cannulated drilling and reaming is made possible by a special cannulated adapter. 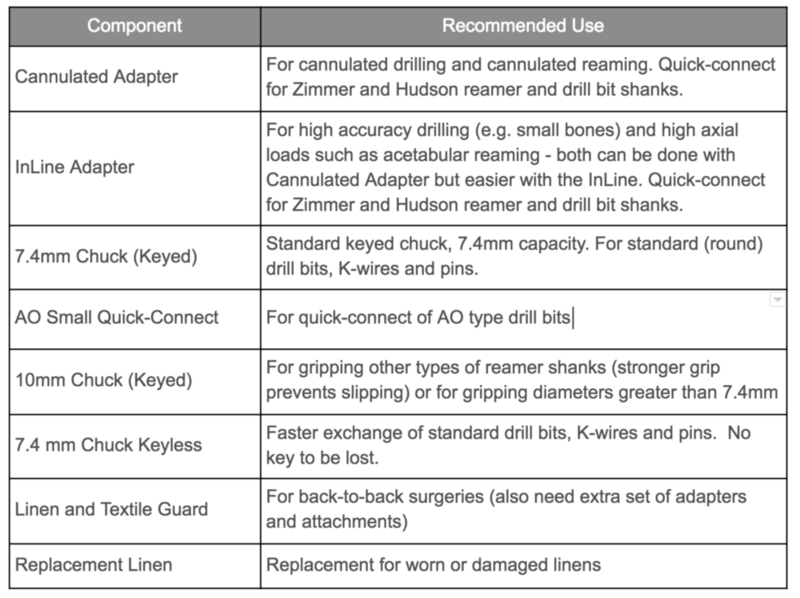 Drill bits and reamers with AO Small, Zimmer and Hudson type quick-connect shanks can be directly connected. Round shanks, pins, wires and remaining quick-connects can be securely gripped using a range of 3-jaw chucks, including the high-capacity 10mm chuck which provides enough grip to hold a round shank acetabular reamer without slipping and the keyless chuck for faster re-chucking. 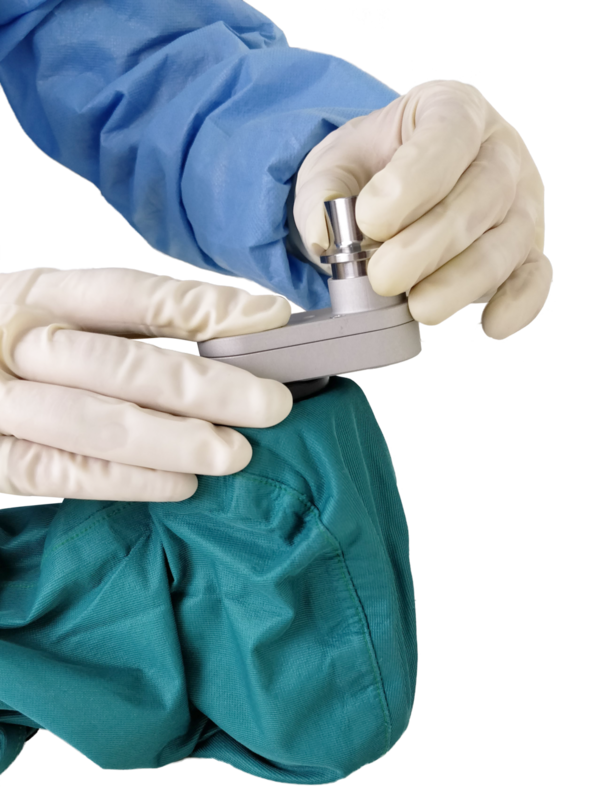 The Arbutus Medical DrillCover technology saves money without compromising safety or performance. The hardware drill used in the system was carefully selected for its robustness, power and battery life. The ergonomics of this drill match that of a conventional surgical drill while the cover provides a fully sealed liquid and patogen proof sterile barrier. The DrillCover PRO System allows you to perform a full range of orthopaedic procedures that any conventional drill is capable of. With this modular system you can tailor its configuration to your own needs. Save money by omitting the components that are of no use to you while retaining the option to add those components later if the situation should change. Conventional orthopaedic drill systems are expensive and one drill is not enough as it takes time to clean and sterilize instruments between cases. Multiple DrillCovers allow a busy hospital to perform back-to-back surgeries with a single drill by simply replacing the battery and loading the drill into a new sterile cover. *The DrillCover PRO Base Kit is not a complete drill system. Additional components to complete the system are customizable to meet your specific needs.